When I was growing up, my father grew tomatoes in our back yard. These carefully tended, vine-ripened tomatoes were absolutely delicious — far better than most others I can remember – and it was all thanks to the rich, organically managed soil. All of the tomato plant’s growth is made from materials taken from the soil, and nothing can be incorporated into the plant unless it is available in the soil. This is why plants grown in depleted soils are just not the same. Commercial fertilizers can add back nitrogen and the basic required minerals, but they cannot replicate the rich spectrum of nourishment in soil that is organically maintained. The plant will just do the best it can with whatever materials are available. When my daughter Claire was born, she weighed 7 pounds 6 ounces. Today, she is 16 years old and weighs over 100 pounds. All of the materials for Claire’s dramatic growth have come from the food she has eaten. Like the tomato plant, my daughter’s body does the best it can with what’s available . 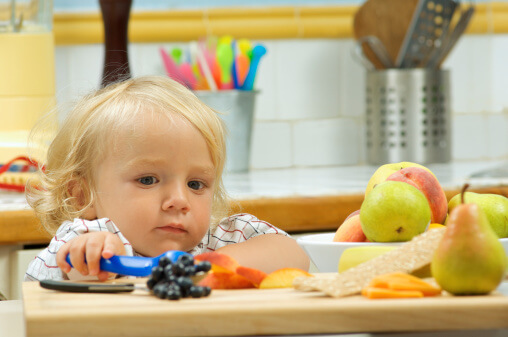 Food is the building block for every part of a child’s body, from bones and skin and muscles to organs, including the brain and its complex, ever growing network of neural connections. Children’s bodies are very forgiving-but why not offer them the best building blocks during the school years? And why not protect them from chemicals and junk ingredients in what they eat and drink, or from foods that have the nourishment processed out of them?